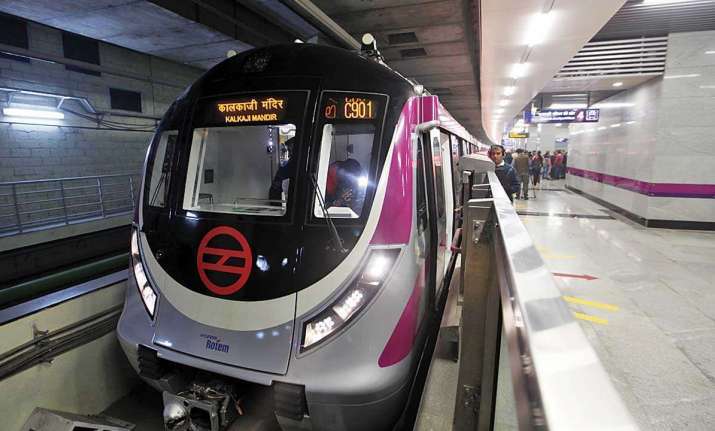 Modi will inaugurate a segment of the Magenta Line on Monday, which will connect Botanical Garden station in Noida to south Delhi's Kalkaji Mandir station. Prime Minister Narendra Modi on Sunday said that the newly-built Magenta Line of the Delhi Metro is an example of modernising urban transport and making travel between Delhi and Noida faster and convenient. Driverless Delhi metro breaks through the wall, Twitterati erupt with hilarious memes! "This new line is yet another example of how we are modernising urban transportation. I will also travel on the Metro tomorrow (Monday). This year, I have had the opportunity to inaugurate and travel in the Kochi as well as Hyderabad Metros," Modi tweeted. In another tweet, he said: "Great news for friends in the NCR! Tomorrow, a stretch of the new Magenta Line will be inaugurated... Delhi-Noida travel will become faster and more convenient." Modi will also address the public after the inauguration at the Botanical Garden Metro station. The Botanical Garden-Kalkaji section has nine stations. Apart from Kalkaji Mandir, all other stations are elevated. Travel time between the two will be reduced from 52 minutes (Botanical Garden to Mandi House via Blue Line and onwards to Kalkaji on Violet Line) to 19 minutes on the Magenta Line. The entire line, when complete, will run from Botanical Garden to Janakpuri West.